Born in one country to parents from another and raised somewhere in between, when it comes to international football events, you could say I have the ‘luxury’ of supporting several teams at once, and of switching allegiances between or during tournaments according to mood, whim, or admiration of fair play. 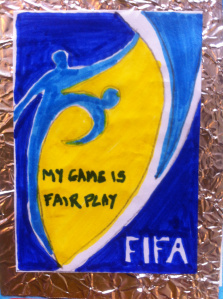 Football players, on the other hand, are obliged to pledge their loyalty to a single FIFA-registered nation for their entire professional career. Since my teenage days, I half-dream of some form of ‘supranational’ team taking part in the World Cup, made up of players with a cross-border background like myself. It’ll probably never happen, but it would be fascinating if it did. Based on their performances at the Brazil 2014 World Cup, here are the eleven footballers that would constitute my “Migrant XI”. Which country am I supposed to support? My childhood following of Italy and Argentina remains, with Spain added as a close third as a teenager, although by then, I already found myself supporting individual players more than entire international teams. Players of mixed heritage or of ‘foreign’ parents would have my automatic sympathy, as I felt they represented me best, and their behaviour tended to be more unpredictable. My wish was for such players to be brought together in a single international squad. 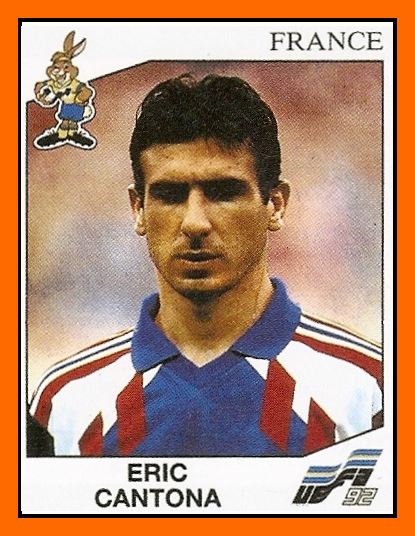 In the 90s, the “no-borders” team I half-dreamed of would have been captained by Eric Cantona, the descendant of Sardinians on his father’s side, and of Catalan Republican fighters in the Spanish Civil War on his mother’s side. It was a great shame Cantona’s ‘kung-fu’ outburst at Selhurst Park in 1995 led him to be excluded from the French squad that would go on to win the World Cup three years later. In what came to be labelled as the “1998 triumph of French multiculturalism”, I would have liked to see Cantona alongside fellow cross-border footballing leaders Zidane and Thuram. 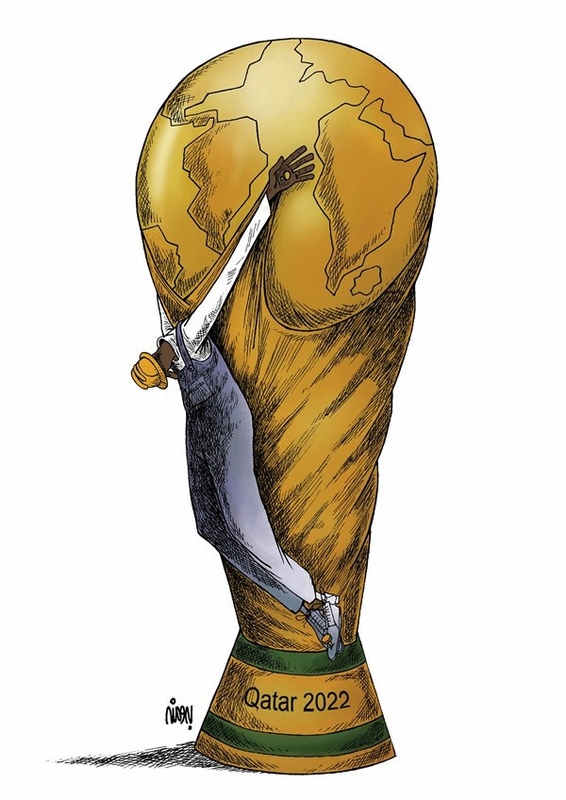 In the run-up to the 2014 World Cup, dozens of articles were published in news blogs on the ‘multiculturalism’ of squads such as those of France, Switzerland, Germany, Holland, Australia, the US and others. A positive development, no doubt, that celebrates variety whilst necessarily throwing into question the definition of ‘nationality’, portraying it as an increasingly more fluid and less exclusivist concept. My only objection lies in the (often inadvertent) use and abuse of the term ‘multiculturalism’, or perhaps more specifically, in the ‘-ism’. Firstly, what I believe most people refer to as ‘multiculturalism’ is far from being an ideology, let alone a political or philosophical agenda. Secondly, much less can ‘multiculturalism’ be considered a project (let alone ‘an experiment’) that either succeeds or fails. Over the years, as much in the flesh as in the mind, experience has led me to recognise what we label as ‘multiculturalism’ as a natural and necessary phenomenon, insofar as migration has been happening ever since humans first stepped out of the Great Rift Valley; at the same time, the very idea of ‘multiculturalism’ stems from an artificial reality, insofar as national borders and racial categories are man-made. The selection of cross-border players was by no means easy, and the chopping and changing continued until a few days after the final. Even by limiting ourselves to the 32 national squads that took part in the contest, the pool of footballers eligible for a ‘Migrant XI’ was very broad indeed. As reported by Quartz, a whopping 10.6% (78 of 736) of the players selected for the global football festival happened to be born outside the country they were chosen to represent. One of them was not even born on land: Rio Antonio Mavuba, whose father Ricky featured as a defender for Zaire at the 1974 World Cup, came into the world in international Atlantic waters, on a ship of refugees fleeing the Angolan Civil War in 1984, before eventually docking in Marseille. Stateless until the age of 20, Mavuba received French nationality in 2005. His passport says: “né en mer”. Of course, that percentage does not include players who did happen to be born in the country they play for, but to at least one parent of a different nationality. A number of such players also have a refugee background. 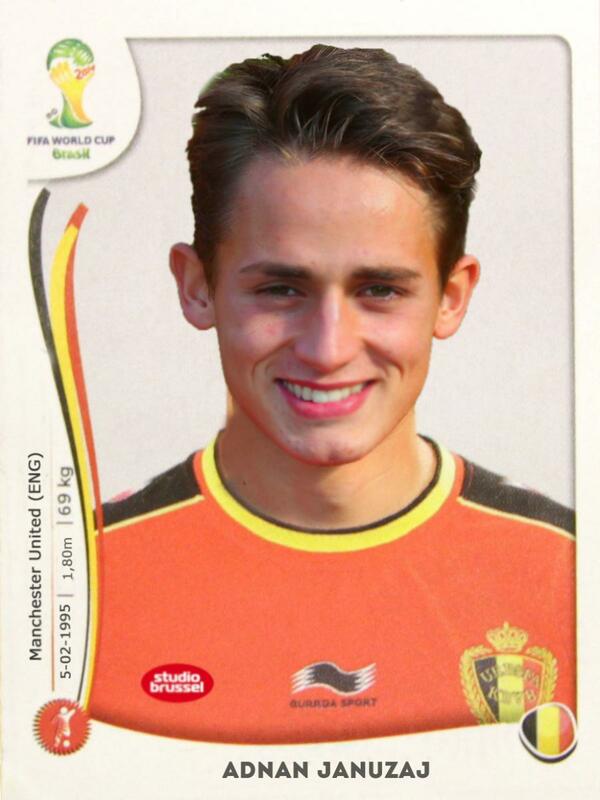 Before finally accepting the advances of Belgium coach Marc Wilmots, upcoming football genius Adnan Januzaj, born in Brussels to Kosovar refugees in 1995, was eligible to play for four other countries through his family ties (Albania, Croatia, Serbia, Turkey). Ironically, Januzaj’s ideal personal choice would not have been any of these countries, yet Kosovo is not a member of FIFA, nor even of ConIFA – the Confederation of Independent Football Associations -, whose first ‘alternative’ World Cup was hosted this year by the Sami nation in Östersund, Lapland, Sweden, and was won by the County of Nice, after beating the Isle of Man on penalties in the final. I always found it grossly unfair that a football player should feel compelled to represent a country he may not profess a certain telluric love for, whatever the reason. Worse still, by having to choose a single nation, a cross-border player must necessarily turn his back on another, or on others, and face the consequences. Strikingly, there were reports that Adnan Januzaj received death threats from angry fans for not having chosen to represent (non-FIFA and non-ConIFA) Kosovo. To paraphrase a well-known quote by Banksy, people who wave flags in other people’s faces, especially in the face of an accidental emigrant from the same country, do not deserve to have neither the flag nor the nationality. Indeed, nomads, migrants, third and fourth-culture kids are not the only ones to have learnt to be diffident of flag-flying patriotism. In the exclusive club of nation states overflowing with symbolism and significance, non-patriotic footballers and fans alike may understandably feel left out of the excitement of a spectacle that necessarily compartmentalises them by country. But just how far would a ‘supranational’ squad, which unlike even the largest ‘galactic’ clubs would be devoid of a specific geographical link, go towards building a fan base that feels at once united and included? This may depend on the exact label given to the team, and the question of what to actually name the team is a spiky one. 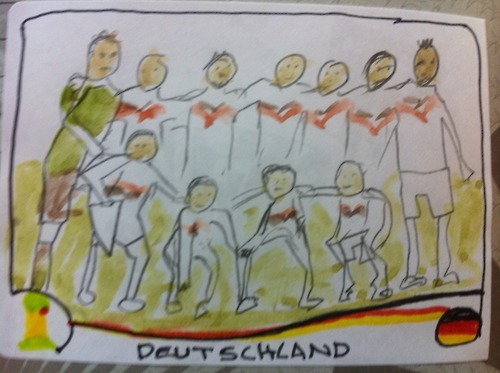 I have chosen ‘Migrant XI’ for want of a better, as yet unattainable name. To call this team ‘planetary’ would smack of elitism: a footballer from the tiniest village of the most monocultural country is just as much a part of the planet as a Vierchowod, a Mavuba or a Januzaj. 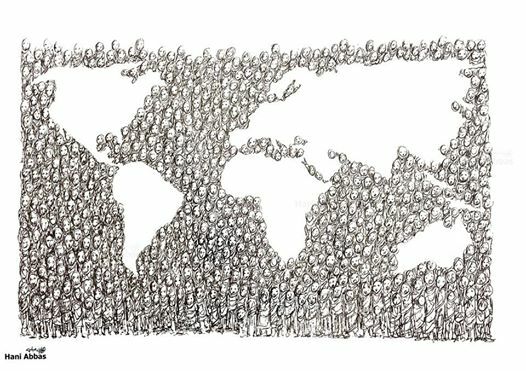 Would a Migrant XI represent humanity any more or less than other international squads? Certainly not. But football fans who identify with several countries at once, with the condition of territorial and cultural ’betweenness’, and therefore perhaps with no country in particular, may feel slightly more represented at both an individual and collective level. Another question worth asking with regard to the absence of a specific geographical connection is: although free from the pangs and absurdities of patriotism, and thus perhaps freer to express themselves, would the footballers of a Migrant XI play well as a team? Would there be enough passion? Would they share the same new-found sense of collectivity enjoyed perhaps by the fans? That may well depend on the motivating and uniting qualities of the coach – for this reason, I have selected a migrant coach also. 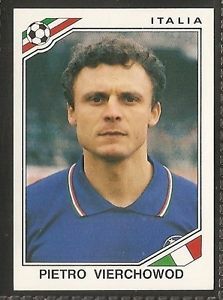 Nevertheless, we could equally ask: did the squads of Italy and England, two countries notorious for their nationalistic fervour, play with passion at the 2014 World Cup? And as we learnt at the semi-final stage, playing with excess of emotion can be counterproductive, and led to Brazil’s implosion. Champions Germany, meanwhile, appeared to play with just the right balance of passion and technical prowess – and arguably, in terms of the players’ origins, a healthy balance of the ‘local’ and the ‘foreign’. My selection of players and a coach of the Migrant XI is based on what I saw of their performances at the Brazil World Cup. With regard to the criteria for eligibility, the pool of footballers included ‘foreign-born’ players, players born in one country to at least one parent of a different nationality, and players raised from an early age in a country whose nationality they have adopted and chosen to play for. These are very general criteria; each individual case is of course a lot more complex. I could have included several substitutes, a full-out 23-man squad, and even formed a remarkable B-team. Indeed, had I decided to go further back than the origins of the players’ parents, the pool would have been overwhelming, and may have included Mesut Özil (a third-generation Turkish German), Cristiano Ronaldo (one of his great-grandmothers hailed from Cape Verde), Lionel Messi, and many other footballing favourites. I could have cast the net even wider by including ‘expats’, footballers who may not necessarily have a migrant family background but play for a club based outside their home country. According to Pew Research, these “elite labor migrants” represented no less than 65% of all footballers selected for one of the 32 qualifying nations in Brazil. Interestingly, the World Bank People Move blog was quick to celebrate this statistic as a sign of the importance of migration to the global economy: “The football stars gracing the 2014 World Cup in Brazil are playing for all migrants across the planet.” This nice thought did not explicity include the “labor migrants” at the bottom of the global football pyramid: many of the workers building the Brazil World Cup stadiums and infrastructure were migrants from Haiti, employed in slave-like conditions after having paid $2,500 to be shipped in overcrowded buses over distances of up to 8,000 kilometres. In the mean time, the International Trade Union Confederation has already denounced Russian authorities for the exploitation of workers from ex-Soviet countries in central Asia and the Caucasus, and around a thousand workers from India, Nepal and Bangladesh have already lost their lives due to heat or workplace accidents in Qatar. According to the kafala system, employers in Doha confiscate their workers’ passports, essentially forbidding them from changing jobs or returning home. Were the ‘Migrant XI’ below to compete in the Russia 2018 World Cup, I’d be a fervent supporter, though I admit, I’d probably still find myself at loggerheads with the child within me should they have to face Italy or Argentina. The Migrant XI would no doubt stand a very good chance of taking the trophy home with them. But alas, where is ‘home’ ? Wherever they decide to take the trophy, I hope they would dedicate the victory not only to those fans with a cross-border background like myself, but in particular to the migrant workers who built the stadiums they had the honour to play and entertain in. Born in New Jersey to an African American father and a Hungarian mother, and holds dual citizenship. A sufferer of Tourette’s syndrome, known for his penchant to play through pain. Man of the match in USA’s 2-2 draw against Portugal, and again in the second round game against Belgium, in which he made a whopping 16 saves, a World Cup record. 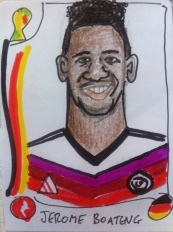 Born in Berlin to a German mother and a Ghanaian father. Played an excellent final for Germany, winning 83% of his duels and hacking a Messi shot off the line in the 40th minute. Incidentally came face-to-face with his half-brother Kevin-Prince Boateng, who plays for Ghana, in the group match, for the second time in four years. Born in Dakar to a Senegalese father and a mother from Cape Verde, moved to Brussels at the age of 1 and to Paris at the age of 3. Just before the French débâcle in South Africa in 2010, Evra revealed that he had received abuse from supporters of the Senegal national team for choosing to represent France over his native homeland. 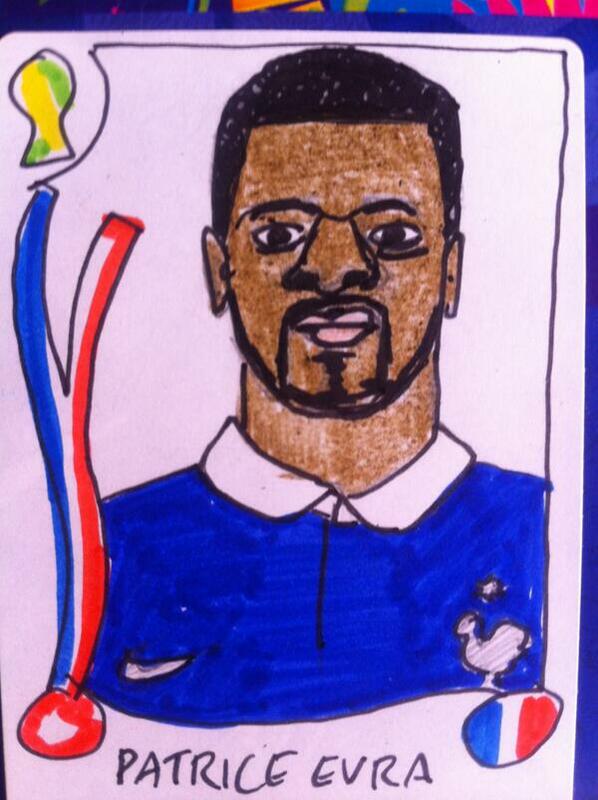 At Brazil 2014, though erratic at times, Evra’s experience instilled confidence in the French defence. 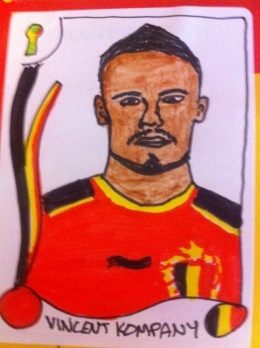 Half-Congolese, half-Belgian, captain of the Diables Rouges and of the Migrant XI. Solid performances throughout his campaign, particularly against Russia in the group stage, timing his tackles perfectly. Recently bought Belgian 3rd division club FC Bleid with the intention of offering disadvantaged youngsters in Brussels the opportunity to use sport as a vehicle of self-improvement. Born in Canada to a Filipino father and Jamaican mother. 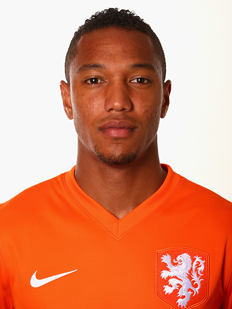 A product of the Feyenoord youth system, he became a citizen of the Netherlands in 2008 and was selected by Louis van Gaal for the Dutch national team five years later. 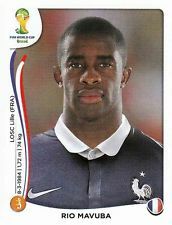 A little over-agressive, but energetic in midfield against Spain, Australia and Brazil. Also known as a free-kick specialist. His older brother Julián plays for Canada. 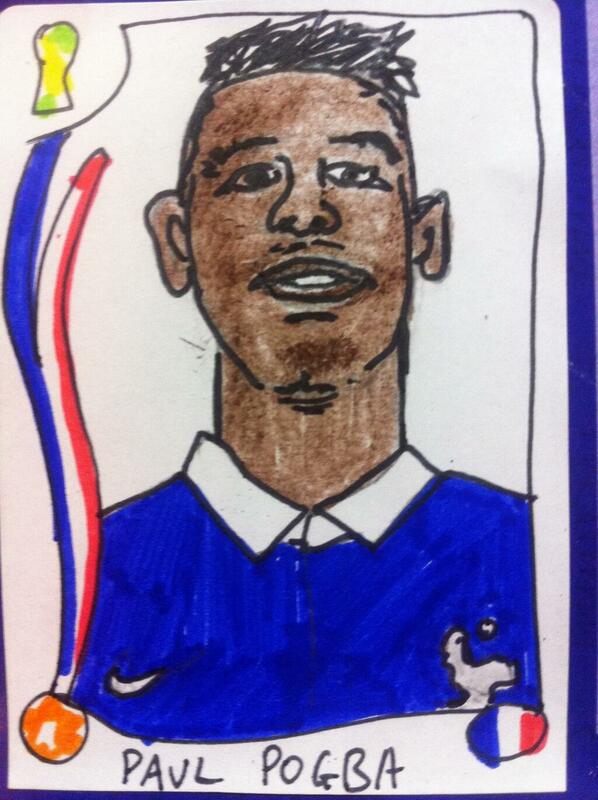 Born in France to parents from Guinea and Congo. 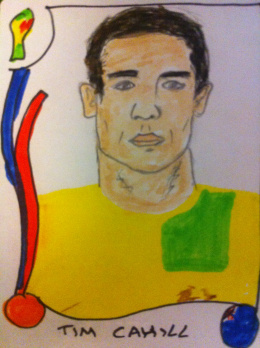 A highly versatile midfielder, he was voted the tournament’s Best Young Player. Impressed against Switzerland, providing an assist for Benzema, and versus Nigeria, with incisive runs, fantastic passing and a 79th-minute opening goal that earned him Man of the Match. Born in 1990, Pjanić’s family fled to Luxembourg during the war in the Balkans. 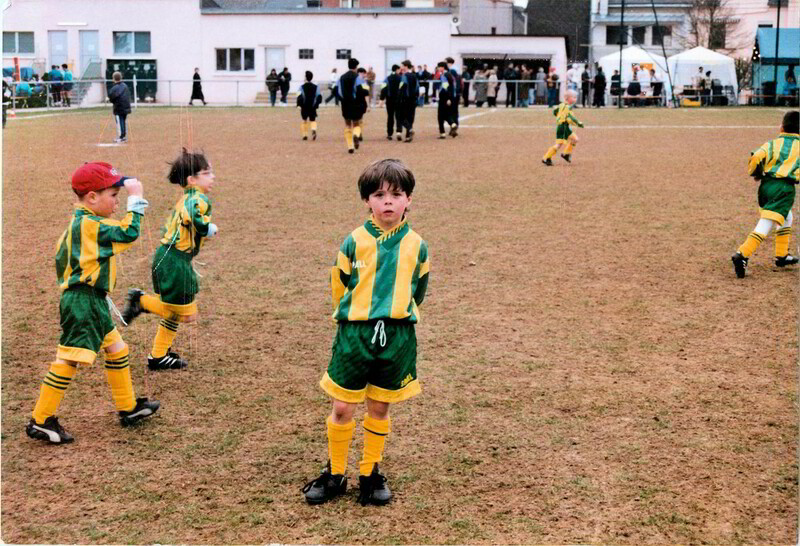 Began his footballing career at FC Schëffléng 95 at the age of 7, and speaks perfect Luxembourgish. 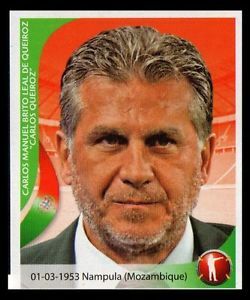 Was severely criticised in his adoptive country for choosing to represent Bosnia-Herzegovina on the international stage. An exciting playmaker, he scored in Bosnia-Herzegovina’s 3-1 victory against Iran, the country’s first ever victory at a World Cup tournament. 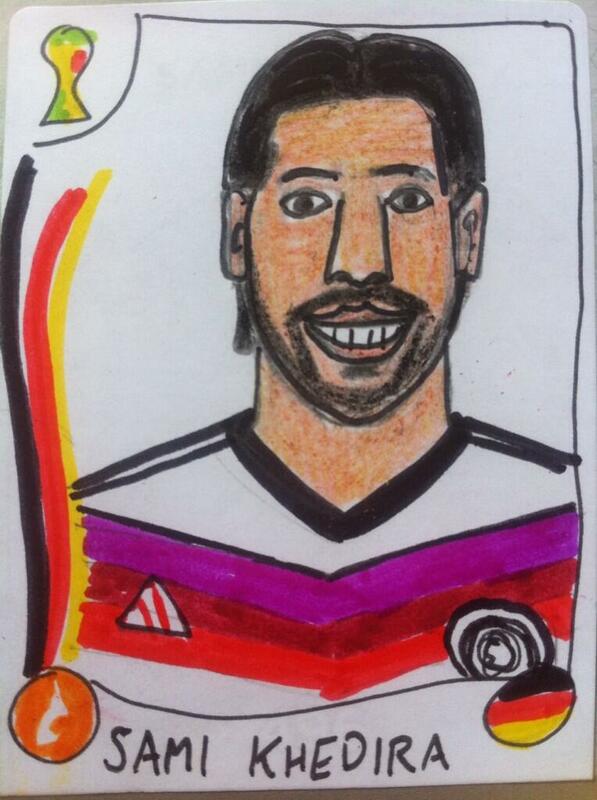 Born in Stuttgart to a Tunisian father and a German mother. Recovered from injury in time to represent Germany at the World Cup, played an important part in the 4-0 mauling of Portugal and the 7-1 humiliation of Brazil (scoring the 5th goal), and suffered an unfortunate injury in the pre-match warmup for the final. Flawless in the air, and a powerful mid-range shooter. Born in Sydney to an English-Irish father and a Samoan mother. As a youth footballer, he played alongside his brothers Sean and Chris for the Samoan national team, the former as goalkeeper, the latter as a midfielder and captain. When FIFA changed its eligibility rules in 2004, Tim was available to play for four different nations, eventually choosing the country of his birth. Scored against Chile in Australia’s opening group match, and provided what will no doubt go down as the volley of his career against Holland, and one of the goals of the tournament. Born in Bretagne, France to Argentine footballer Jorge Higuaín. Left for his father’s country at the age of 10 months, but did not obtain Argentine nationality until 2007. Assisted Messi for the winning goal against Bosnia-Herzegovina and scored the only goal against Belgium in the quarter-final. 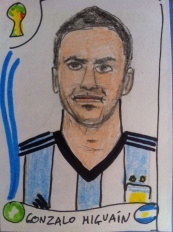 Missed a cracker of a chance to put Argentina ahead during the final, before having a goal disallowed for offside. Klose’s parents fled communist rule in Poland, and spent nine days living with five other families in a single room at a refugee camp in Lower Saxony before being given German passports. Speaks Polish at home with his wife and children. His goal against Ghana made him the third player in history to score in four different World Cups, before scoring a record 16th World Cup goal as part of Germany’s 7-1 thrashing of Brazil. The only player to ever appear in four consecutive World Cup semi-finals. Born in Nampula, Mozambique to Portuguese parents. 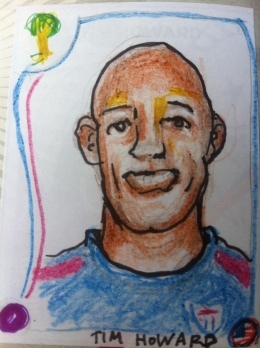 A bold and meticulous creator of tightly united teams. After succeeding in introducing players from the Iranian diaspora into the national squad, his tactics and motivation led Iran to maintain a clean sheet against Nigeria, and to hold Argentina for 90 minutes before Messi’s wonder goal in stoppage time. and research that led to the drafting of this article. Antoine Cassar, co-founder and co-editor of Le monde n’est pas rond, is the author of Passaport, a long poem printed in the form of an ‘anti-passport’ for all peoples and all landscapes. Since 2009, Passaport Project has collaborated with migrants’ rights associations in 10 countries, via performances, readings and debates, and donations from the sale of the booklet. 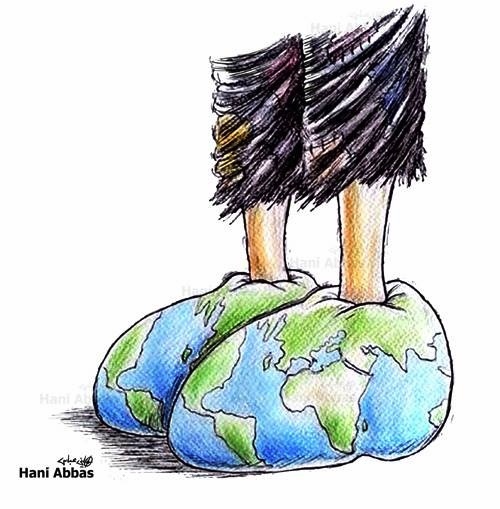 A Syrian-Palestinian refugee now based in Switzerland, Hani Abbas’ cartoons have appeared in newspapers and exhibitions in several Arab and European countries. He was awarded second place in the 2013 World Press Freedom Award. Many more of his cartoons can be seen on his Facebook page. Born in 1984, Payam Borumand’s cartoons have been published in Iranian newspapers and weekly magazines. He has participated in several national and international exhibitions. 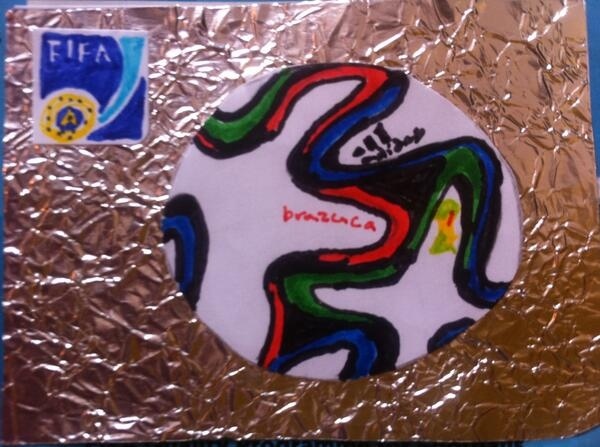 Alex & Sian have filled in their Panini 2014 World Cup sticker album at a cost of exactly £0, by drawing all 639 images using pens from Sian’s craft drawers and stickers “borrowed” from a work stationery cupboard. 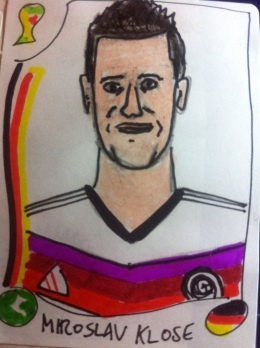 Click here to read more about the wonderful Panini Cheapskates project. 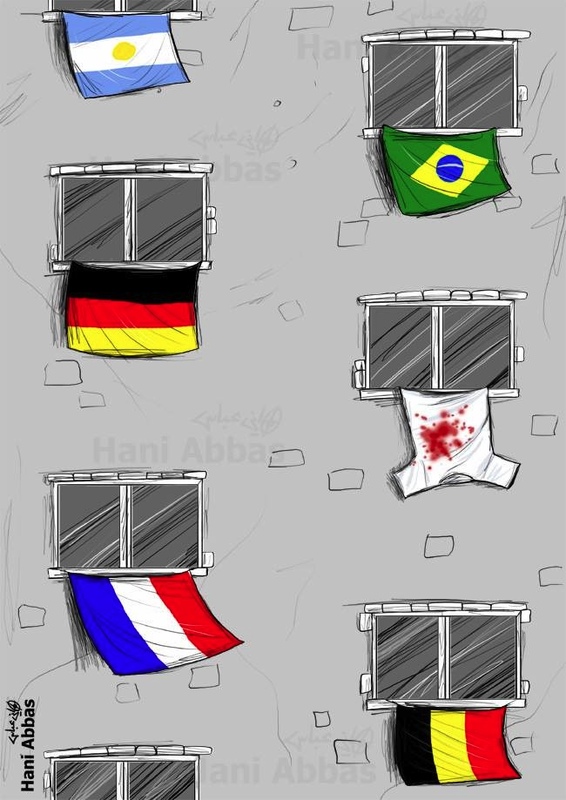 This entry was posted on 16/08/2014 by mondepasrondeditor in cartoons, essay, visual art and tagged Antoine Cassar, betweenness, football, Hani Abbas, migration, Panini Cheapskates, passports, Payam Borumand, refugees, World Cup.